Nothing beats experience for learning a thing. In this case I mean 'hands-in-the-soil, dirt-on-my-knees, sun-on-my-head, filling-up-wheelbarrows' experience. I've visited dozens of working farms, rural and urban, interviewing farmers, touring the grounds, taking notes. 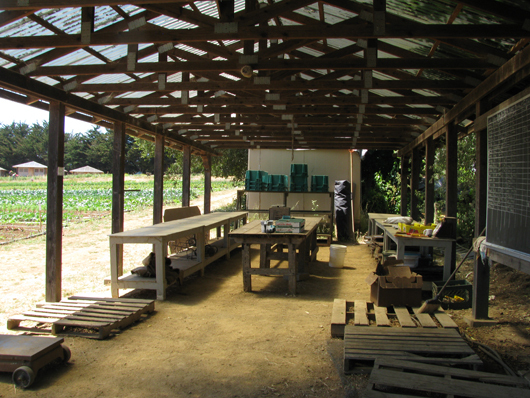 But working the harvest for a morning at the Center for Agroecology and Sustainable Food Systems (CASFS) at U.C. Santa Cruz brought it all home in a way I hadn't gotten before. One of the biggest challenges in being involved with an ag-design project is all the unknown program elements - what will the growers need (besides the fields) to get a harvest to market? Or plant a harvest? By going through the process of a harvest with the farmers and student farmers I more clearly understood what the parts are, what they are used for, how long it takes, how many people are needed. Below I share in pictures the harvest process. CASFS is located on two facilities on the U.C. 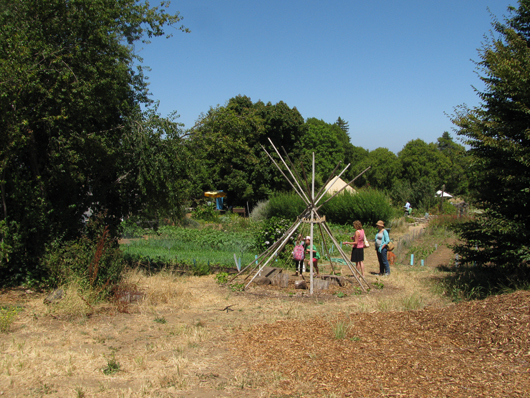 Santa Cruz campus: a 25-acre farm that uses both hand and machine-growing methods, houses students, hosts a CSA, propagates starts, and runs several children's camps and after-school programs; and the 3-acre Chadwick Garden, a riotous mix of orchard trees, flowering perennials and native plants. 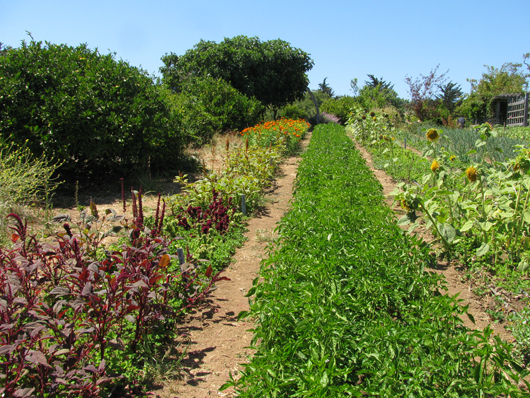 A year-long apprentice program trains student farmers in the theory and practice of sustainable farming, and graduates can be found at Pie Ranch, The Garden Project and Live Earth Farm among many other great places. 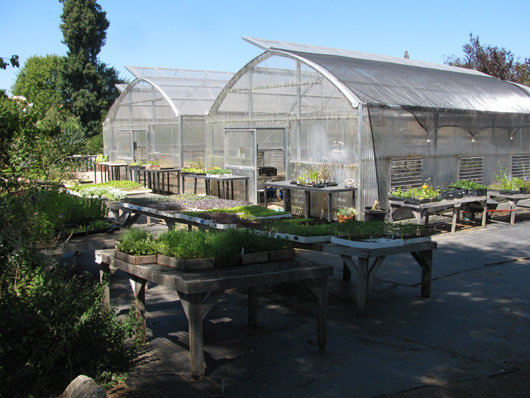 Students rotate between the hand-garden, the farm, the greenhouse and the Chadwick Garden during their year. On Friday mornings, the farm harvests produce and flowers for their CSA members and the farm stand. After gathering for an all-hands meeting in which the quantities and types of items to be harvested were reviewed, we washed our hands and headed to the fields. First up for me was strawberries, which we picked warm and bright and placed directly into berry baskets already loaded in cardboard flats. Once a flat was full it was brought to the shade and I headed back out with empty baskets. Next up was beets, which gave easily from the rich earth, shedding their dusty cover. 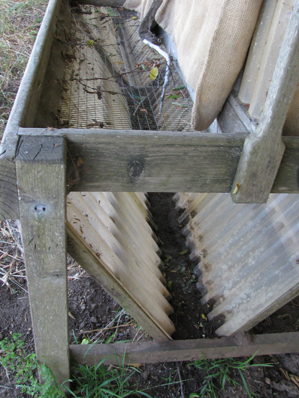 Five or six were bunched together with the greens, tied and loaded in a wheelbarrow. 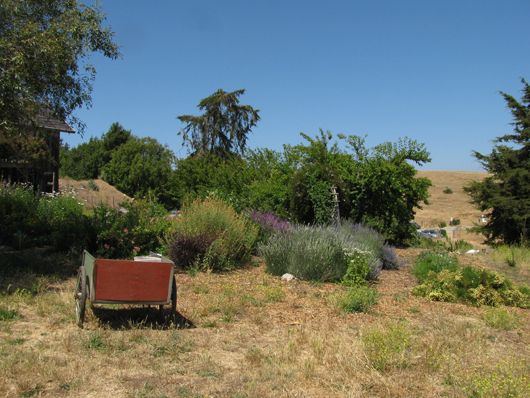 As we picked we pulled weeds and talked, the work moving in a pleasant rhythm under a warm sun. 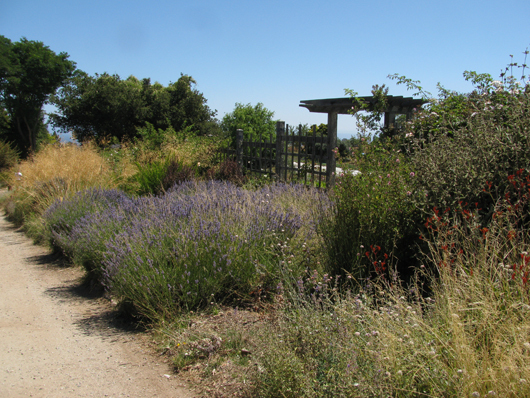 The CASFS farm sits on a ridge with a view to the ocean, and breezes stir the air, so even though it was mid-July the heat was not oppressive. When we had picked as many bunches as were needed, we returned the wheelbarrows to the shed, where a crew was dedicated to washing produce. Last stop for the morning was blueberries. Ducking under the netting into an array of different species of bushes, I began to pick. And pick. And pick. Certainly the most time-consuming of my tasks, each berry had to be checked for ripeness, and berries were slow to fill my small bucket. 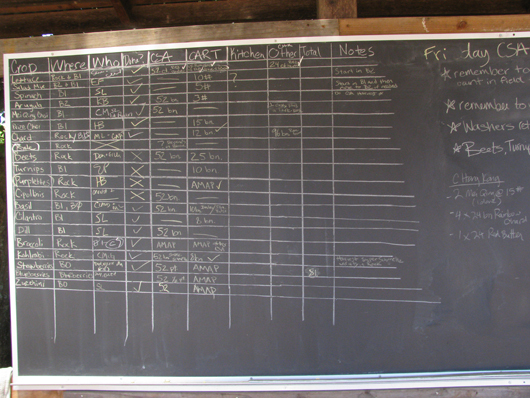 After a couple hours we had enough for the CSA and market stand, and after washing and sorting ourselves, we measured the fruit into paper baskets and brought them back to the shed. 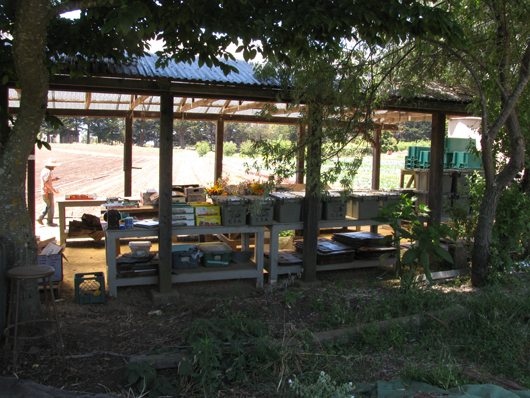 The shed had transformed with the work of the morning and now boxes of produce and bouquets of flowers stood stacked ready to go to the market stand, and CSA boxes waited to be moved to the distribution site. Harvest was over, and the crew of students, farmers and me moved to the dining room to share a communal meal of flatbread, hummus, beet salad and orzo with kale that had been prepared by a student kitchen crew. Talking with the students over lunch I met people from a range of backgrounds - environmental science, biology, architecture - with a range of goals - from establishing urban agriculture projects to farming for themselves. And now we are lucky to have a recent graduate of the program contributing to Grow City - check out our About page for more on Dan Tran.